EXPLORE THE WORLD OF PLANET 51: Test your skills in a series of action-filled adventures that are out of this world. Try to outrun and outwit the Planet 51 Police and Army, find Chuck?s spaceship and help Chuck return home to Earth. VEHICLES GALORE: Race and chase as you complete tasks and evade the enemy in an incredible array of hover vehicles, ranging from cars, pick-up trucks and bicycles through to taxis, police cars, heavy trucks and even lawnmowers! MAKE NEW FRIENDS: Take control of the main characters from the movie ? suave Astronaut Charles ?Chuck? Baker and his new alien friend ?Lem?? utilising their special abilities and skills as you complete each mission. 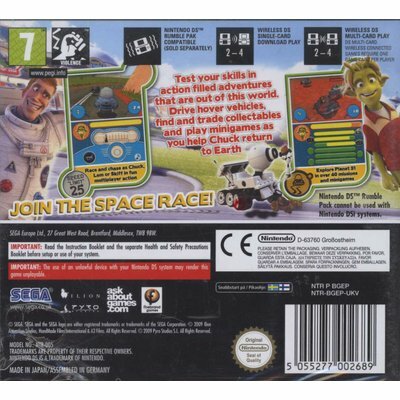 MULTIPLAYER ACTION: Go head to head against your friends in split screen mode as you race and chase around Planet 51. 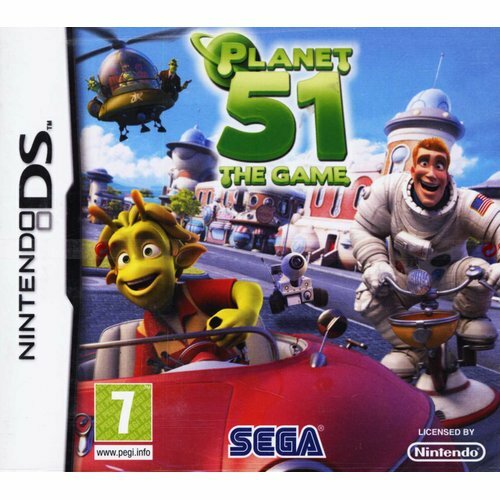 MULTIPLE MISSIONS and MINI GAMES: Advance through the world of Planet 51 by completing numerous story-based missions, or test your skills in the minigames to unlock new vehicles, receive collectables and watch clips from the movie. GO BEYOND THE MOVIE: Players will relive memorable movie moments as well as discovering new environments and missions created exclusively for the videogame!